I am wearing a dress again. You may remember the last time when I styled my $15 striped dress. Leopard and black is so classic and amazing looking! Love the fun leopard cardi! Thanks! Funny thing about that cardi - is the my husband said I shouldn't get it - that I wouldn't wear it - it is one those things I wear a lot. Love the cut of that dress on you! That Kendra Scott necklace just works with EVERYTHING! KS necklaces are the best! If you still haven't, why don't you check out & join this huge GIVEAWAY I am hosting for JEWELRY TELEVISION (JTV) where a dazzling pair of 18k gold chandelier earrings is at stake - Have a great weekend!!! One of my favorites, too. Thanks! Leopard and black, love that combination :) And that bag...so pretty! Aw, so excited to see this dress on you! 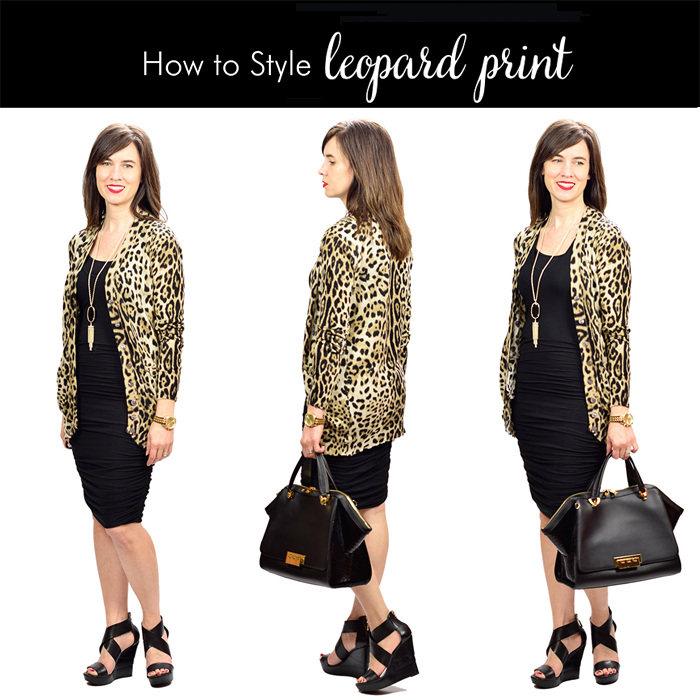 It looks fantastic, and I love seeing how you put your spin on styling it with the leopard cardigan. Can't wait to get more ideas from you on how to wear this! love the dress with the layers! great look! Leopard is one of my favorite prints! Love your cardigan! You look so chic! This leopard cardigan is perfection, I love the length! Such amazing look! love it! Such a great outfit for this weird transitional weather we've been having. Love those wedges!